The notion of what a ‘cheap’ _phone_ is nowadays is a very different one from what we’ve encountered in the past. 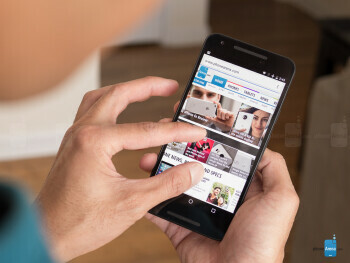 In this day and age, devices like the Moto G (2015) and Alcatel Onetouch Idol 3 4.7-inch have all redefined what it takes to be an affordable smartphone of above average quality. Quite simply, they don’t have such an incredible specs sheet to captivate most folks from the iPhone or Galaxy league, but nonetheless, they offer a ton of value without too much compromise in design and performance. Above that category, the industry has recently etched out a new segment that many refer to as ‘low cost’ premium smartphones – such as the Moto X Pure Edition, OnePlus 2, ZTE Axon Pro, and many more. Boasting prices less than $450 outright, they don’t seem to skimp out anywhere with their flagship-esque specs sheets. 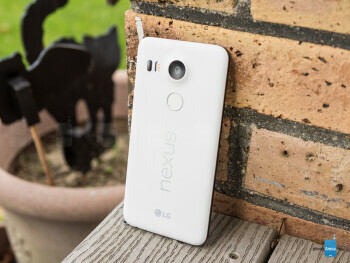 However, we have another new entrant into this particular space, the Google Nexus 5X.Being one of two brand new Nexus smartphones this year, the LG-made Google Nexus 5X not only aims to attract people with its pure Android 6.0 Marshmallow experience, but it’s also going to make many folks happy knowing that it’s been slapped with a competitive $379 starting cost – priced similarly to what was established with the Nexus 5 from a couple years ago. Price alone is a huge driving factor in making the 5X so compelling, but it needs so much more to captivate a wider audience, especially when we’ve been spoiled by so many great-performing, low-cost premium phones. The humble styling is evident again with this one. Every _phone_ has a certain threshold when it comes to design, which can be dictated by the price point it’s attempting to meet. For the LG-made Google Nexus 5X, there are no surprises whatsoever to see that it has been designed with modesty in mind, much like the Nexus 5. Plastic, that’s the only material found with its construction. It’s not elegant, nor edgy either, but the two-toned color of our particular model meshes well – more so when it’s the matte plastic variety, which does nicely to stay cleaner looking than glossy plastic. Indeed, it is no-nonsense approach, evident in the way plastic is used in every facet of the phone’s design – including the buttons around its edges. 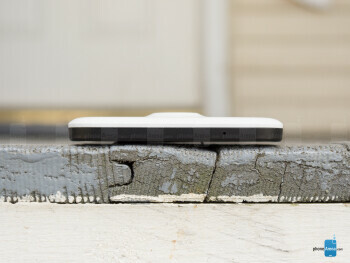 Unlike the majority of phones nowadays, the Nexus 5X opts to favor a more compact and slim design, ensuring that it’s still largely comfortable to operate with a single hand thanks to its fitting size and 70.04% screen-to-body ratio. Therefore, there’s no excessive stretching needed from our thumbs to reach all corners of the display. And of course, since it employs a plastic construction, it’s pretty lightweight tipping the scales at only 136 grams. Frankly, the design isn’t anything worth writing home about. 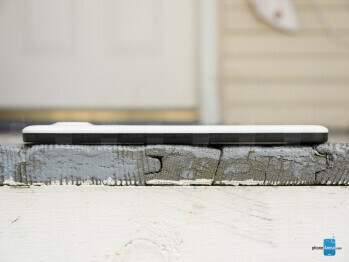 It’s a simple plastic-bodied thing with edges that seamlessly curve around to meet uniformly with the rear casing. Some might say that its design is a bit on the boring and dull side, which is in contrast to the stylish and highly customizable design of the Moto X Pure Edition, but it’s a pure design that matches what the phone is all about. Looking around the phone, we’re presented with very familiar ports and buttons – such as its power button and volume controls on the right edge, 3.5mm headset jack and microphone on the bottom, and SIM slot on the left. The speaker, though, has been positioned right below the display, providing for that ideal experience when it comes to watching videos because it projects audio toward us. What’s arguably different with this phone, however, is that it comes with a USB Type-C port. Love it or hate it, this new connection is eventually going to phase out the traditional micro-USB connection that has been widely used on many devices close to a good decade by now, seeing that it offers some additional conveniences. For example, USB Type-C cables are reversible, so it doesn’t matter what side you’re inserting the cable into the port. The only downside here is that you can’t connect it to any USB port that isn't a Type-C one, like the ones on your computer, to charge or transfer data. To do that, you'll need to purchase the correct USB Type-C to USB Type-A cable. Another important feature of the phone is situated on its back. No, it’s not the camera that juts out a little, but rather, the fingerprint sensor beneath it that’s adorned with a chrome outline. Humble might be the word that best associates with the Nexus 5X, so it’s somewhat of a surprise to find one here with the Nexus 5X. Luckily, it works just like any of the handful of recent smartphones with finger print sensors – requiring only for us to gently place our finger over the sensor for it to recognize and unlock. Technically speaking, we don’t need to press the power button first, seeing that we can quickly unlock the phone from a standby state with the screen off by just putting our finger over its scanner. Seriously, it’s one very accurate screen that won’t disappoint. There might be a ‘5’ in its name, but the Nexus 5X iss actually boasting a 5.2-inch 1080 x 1920 IPS-LCD display with Corning’s Gorilla Glass 3 protecting it all. Although we’ve seen a handful of phones within its price point donning Quad-HD resolution, we’re not too bummed out to realize it’s 1080p resolution here with the Nexus 5X. In all fairness, it’s more than detailed to give it a high level of sharpness to the eye – so it’s not an issue whatsoever. Cheap phones tend to employ low-quality displays, that’s just the typical expectance. However, that’s far from the truth here, as the Nexus 5X is fashioned with a pretty, color-accurate screen that boasts several top-notch qualities with its package. They include a 6800K color temperature, 2.31 gamma value, and a peak brightness output of 487 nits. All of this indicates that we’re dealing with a fairly high-quality panel, ensuring it’s visible even in challenging lighting conditions – and not being too cold in tone, so it’s neither too warm nor cold. Oh yeah, did we forget to mention that it gets really close to nailing all the reference points in the sRGB color gamut? Well, it does, and we couldn’t be happier to find out that its color reproduction is nearly perfect. Looking very closely to its values, we can determine that it reproduces realistic, true-to-life colors. All told, this is one impeccable screen that doesn’t skimp out on the necessary goods, and for its price point and all, it’s pleasant to know that it’s able to achieve the same stellar results as other phones priced well above it. The notion of what a ‘cheap’ phone is nowadays is a very different one from what we’ve encountered in the past. In this day and age, devices like the Moto G (2015) and Alcatel Onetouch Idol 3 4.7-inch have all redefined what it takes to be an affordable smartphone of above average quality. Quite simply, they don’t have such an incredible specs sheet to captivate most folks from the iPhone or Galaxy league, but nonetheless, they offer a ton of value without too much compromise in design and performance. Every phone has a certain threshold when it comes to design, which can be dictated by the price point it’s attempting to meet. For the LG-made Google Nexus 5X, there are no surprises whatsoever to see that it has been designed with modesty in mind, much like the Nexus 5. Plastic, that’s the only material found with its construction. It’s not elegant, nor edgy either, but the two-toned color of our particular model meshes well – more so when it’s the matte plastic variety, which does nicely to stay cleaner looking than glossy plastic. There’s more to love with Android 6.0. If you haven’t done so already, go and check out our full in-depth review about the sweetest and smartest Android version to date – Android 6.0 Marshmallow. You’ll be put up to speed regarding what’s new, different, and exciting about this latest release. In this review, however, we’ll focus on a few things that directly relate to the Nexus 5X’s experience. The Material Design vibe that debuted with Lollipop is here to stay, and it hasn't been changed a bit. This is not a bad thing or an issue in our book, mind you - we still think that this refreshing design language is one of the best things that could have happened to Android. This means that you still get a host of card-based UI elements, paired with colorful icons, and predominantly white menus. One of the more notable additions to the OS is the revamped app drawer. Gone are the horizontally-scrollable cards that were present in Lollipop! Marshmallow comes with a stock launcher that displays the installed apps in a neat vertical window, which is not comprising separate cards (the same applies to the widgets pane as well). As usual, it sorts the apps in an alphabetical order, yet some of the apps you use the most will appear at the top of the drawer page, providing you with easy access. There's also a nifty search bar at the very top of the app drawer that allows you to manually search for an app. Another area in which Android 6.0 Marshmallow has received a visual update of sorts is the lock screen. 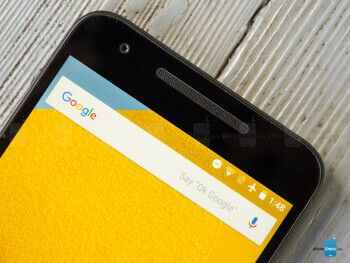 In Lollipop, you had a dialer and camera shortcuts, but the new variation of the OS has ditched the former for a Google Now voice search shortcut. That's pretty understandable considering that Marshmallow puts emphasis on the improved pro-active and contextually-aware Google Now. Still, we miss the dialer shortcut a bit. This is not everything that's changed within Marshmallow, of course – we have a surplus of minor other changes that aim to make the user experience more coherent. Some of the more notable ones that we will highlight are the revamped Apps menu, a new Do Not Disturb toggle in the quick settings pane (which allows you to easily configure it straight from the notifications panel), as well as a revamped stock phone app. Taking a bite out of Motorola’s playbook, the Nexus 5X, along with Nexus 6 and 6P, provides us with useful information upon picking up the phone – or whenever notifications arrived. The time, date, and any relevant notifications are briefly displayed on the screen, offering us quick access to them without having the need to turn on the phone completely. Not only that, but it’s meant to reduce power consumption as well. The changes that Google Now has scored are rather significant. The star of the show is Now on Tap, a proactive and contextually-aware functionality for Google Now. You enable it by holding the home button of your device and once you do so, the feature will "scan" the screen for places, people, movies, song names, others, and provide you with relevant actions. Sounds a bit dull on paper, but it's actually pretty exciting in real life, we promise! Indeed, the camera can be accessed through the lock screen, but now there’s an even faster way of launching it. From a standby state (with the screen off), we can simply double press on the power button to launch the camera – ensuring that we’re never too late to capture a moment. While this isn’t a particularly new feature, as many other phones offer something similar, we’re nevertheless grateful to have it on board. 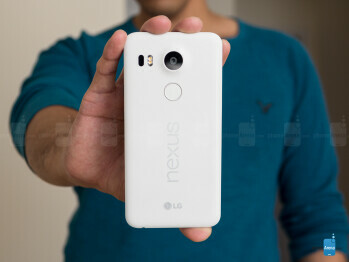 As a whole, there's little not to like about the newest Android version on the block. It's polished, doesn't suffer from any major issues (no "memory leak"! ), potentially prolongs the time you can spend away from your charger, and feels way more mature than Lollipop. All of these are paired with the regular arsenal of unrivaled features that Android offers. For purists, you can’t get any better than this. As much as Marshmallow introduces new things to the experience, those who have grown to absorb and become complacent to the rich features that accompany these other customized experiences, such as TouchWiz or LG’s take, they’ll miss having that higher degree of functionality coming back to stock Android. Those custom experiences take pride in their heavy multi-tasking, like having two apps running simultaneously, which isn’t something that can be done with stock Android at the moment. Yes, we’ll point out stock Android’s simplicity and straightforwardness, something that doesn’t require such a high learning curve for newbies, but on the flip side, it’s going to be tough convincing those used to those rich and extensive features in other experiences to make the transition. Cohesively, stock Android 6.0 Marshmallow can adhere to the strict requirements of power users – it’s just a matter of being able leverage its tangible features to best suit each individual user. The phone app has seen some small tweaks with the tab indicators — instead of text, those have been reverted to icons. Moving over to the call log section, it looks different as well, coughing up individual borders for each call interaction. And finally, the settings menu of the phone app has also been re-organized, with more options available at a first glance instead of buried within submenus. Functionally, the core basics are well intact with the Google Calendar app, as it integrates with Google’s ecosystem seamlessly. Visually, there are some subtle changes, but for the most part, it retains the principles of Material Design. In addition, we can choose what view that suits our liking – whether it be a daily, weekly, or monthly one. Enhancing the experience comes from leveraging Marshmallow’s new ‘Now on tap’ feature, whereby it scans an appointment and populates relevant information back to us. For example, it’ll offer useful actions to appointments that are attached with specific destinations or addresses. As for the rest of the core set of organizer apps, such as the Calculator and Clock, there’s honestly not much that’s different from what we’ve exposed to previously. At the core of it all, they function in the same manor – while sporting very subtle changes to their appearances. The Calculator’s functionality, for example, has been slightly expanded. Gone is the email app that in previous years populated our other accounts, while Google’s own Gmail app handled, well, our Gmail account all by itself. There’s not even a placeholder for an icon as well, where it notified us in the past that the Gmail app is now the only option for checking email. We have no complaints with that decision, since it’s logically arranged so that accounts can be viewing separately – or in just one universal inbox. Beyond that, it leverages the same set of functionality we get from using Gmail on a traditional desktop PC, so it’s well-endowed to handle even the most demanding of email users. Jotting down messages using the stock Android 6.0 Marshmallow keyboard is just as effortless as it was before, mainly because it’s responsive, logically arranged, and offers us access to many of the numbers and punctuations from within the main layout by performing long presses on specific buttons. Now, if individual tapping isn’t your forte, then you can always resort to using its gesture typing for a more seamless process. And if you prefer going all voice, there’s the option too by just pressing on the corresponding icon just above the keyboard. Don’t underestimate the Snapdragon 808, it has one wicked bite with its processing punch. Although it’s not shocking revelation, more and more companies are choosing to go with the Snapdragon 808 chipset to power some of today’s prized stallions – and the Google Nexus 5X is no exception! Based on 64-bit architecture, this 1.8 GHz hexa-core processor is no joke when it comes to its real-world performance. Accompanied with 2GB of LPDDR3 RAM and the Adreno 418 GPU, it consistently delivers snappy responses just navigating around the phone. Therefore, it’s accompanied with instant responses with things such as opening apps or multi-tasking between them. It, too, impressively achieves some good performances with it comes to graphics processing, putting it on par to formidable devices like the Note5 and LG G4. No doubt, 3D graphics are handled in a smooth manner by its hardware combination, establishing pretty good scores in synthetic tests using GFXBench by achieving better-than-average frame rates of over 38 FPS in the T-REX HD test. Yeah, it’s not the buttery smooth 60FPS rates that the iPhone 6s is able to procure, but nevertheless, it’s more than enough to handle the demands of most heavy gamers. Available in either 16GB or 32GB formats, you’re better off going with the latter because 16GB is regarded nowadays as being insufficient for some people. That tally will undeniable fill up pretty quickly if you’re not apt to managing your content wisely, especially when 4K video recording takes up huge chunks of space. Unfortunately, this phone, along with the Nexus 6P, follow the trend of previous Nexus phones by not offering any sort of expansion whatsoever. Even with the introduction of the Android 6.0 Marshmallow, there’s no significant changes to the way we experience surfing the web using Google’s Chrome browser – so it works in the same capacity we’re used to on other phones. Using the Nexus 5X for the occasion is likable on so many levels, even though it’s technically the lower spec’d phone between the two Nexus smartphones, seeing that embodies all of the rich features that make it such a joy to use. From its sharp screen, ample real estate, smooth performance, and fast page loads, there’s very little room for complaint here. The Nexus 5X supports the following LTE bands: B1/2/3/4/5/7/12/13/17/20/25/26/29. With its Qualcomm modem, the smartphone is compatible with carrier networks worldwide, providing for a hassle-free transition if you’re the global trotter type. Those customers who call Sprint or Verizon home, they’ll be pleased to know that the Nexus 5X has support for CDMA bands 0, 1, and 10 – so they’re not left in the dust with this latest Nexus. And finally, it’s accompanied with the usual array of connectivity features we’d expect to find in a modern, well-respected smartphone. They consist of aGPS with GLONASS, Bluetooth 4.2, dual-band 802.11 a/b/g/n Wi-Fi, and NFC. The camera experience leaves more to be desired, but this is one good-performing camera that’s highly versatile. 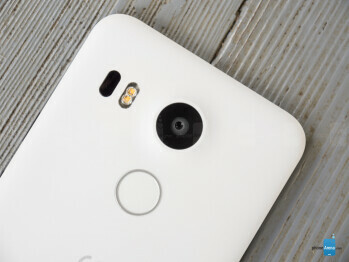 Google and LG's choice for a camera setup is certainly interesting, for the Nexus 5X features an "unprecedented" f/2.0 12.3-megapixel Sony camera sensor on its rear panel. The component in question is purportedly the Sony IMX377EQH5, which is a sensor originally made for camcorders. This piece of tech is supposed to eat the original Nexus 5's 8MP camera alive, for it comes with improved optics and super-sized 1.55 micron pixels — not as large as HTC's UltraPixel sensor (2 microns), but certainly larger than the 1.2 micron pixels in current camera sensors. This should help it capture more light in dark shots, making pictures better exposed and less noisy. In addition, the sensor is capable of producing 4K videos, along with impressive 120 FPS slow-motion clips. The sensor can actually handle 4K and 2K video resolution recording at 60 frames per second, but Qualcomm's current chipsets, including the Snapdragon 808 used in the Nexus 5X, only go up to 30FPS. The camera sensor is kept company by a laser autofocus system and dual-LED flash. The former will most certainly make for impressive auto-focus speed, while the latter will help the camera make the most out of situations where light is of insufficient quantity. On the front side, there's a 5MP camera with f/2.2 lens, which makes for a substantial upgrade over the Nexus 5's 1.3MP selfie snapper. Turning our attention to the camera interface, powered by the Google Camera app, its appeal will mainly hinge on whether or not you like Google’s interpretation of what the shooting experience should be like. On a foundational level, it’s a simple and hassle-free experience that centers its focus on quickly snapping a shot on a moment’s notice – without being too distracted by other features. Speaking of features, it’s rather light with its package over what we get in other phones. It comes with Photo sphere, Panorama, Lens Blur, and HDR+, which is nice for casual shooters, but for serious ones, it’s just missing additional modes to adhere to their needs. In particular, many of today’s high-end phones offer a diversified manual mode – where shooting parameters such as shutter speed, focus, ISO, and much more, can all be modified to our liking. Like we said, this isn’t everyone’s cup of tea, but for the obvious point of capturing a moment you’d like to remember, we suppose it gets the job done effectively – and without distraction too. Some people will have reservations regarding its 12.3-megapixel sized snapshots, but in all fairness, there’s nothing to be concerned about – it takes some pretty good-looking photos. If the iPhone 6s is an indication already, the Nexus 5X reaffirms the notion that a camera’s quality can’t be individually based on its megapixel count. Time after time, from outdoor scenes to indoor ones, the Nexus 5X establishes several, favorable results that make its camera so versatile to use. The shots from Times Square in New York, in particular, show us that it’s quite capable at snapping sharp photos. While the overall shots look especially pleasing to the eye, where it’s accompanied with good details and bold colors, meticulously looking into the shots show us that there’s a hint of over-sharpening – causing finer details to become duller, while edges tend to be accentuated more. Under sunny conditions, the camera has a little bit of a tough time handling dynamic range. It’s not bad per se, but the blue sky contrasting the landscape scene tends to come out slightly over-exposed. Fortunately, the HDR+ mode fixes things quite a bit by adjusting the exposure throughout the scene to offer consistency. Therefore, shadows and highlights receive the proper amount of treatment to paint a picture that’s more evenly exposed – without applying too much color saturation in the process, which sometimes gives photos that unworldly, artificial composition. We’re also quite pleased by its performance indoors under artificial lighting, where conflicting light sources generally pose an issue for some phones. 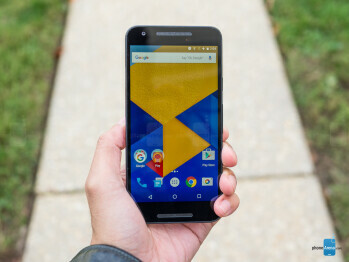 With the Nexus 5X, however, that’s hardly the case, proving that it’s very much adaptable. In the shots inside of a store, the camera does nicely to correct its white balance for the particular lighting condition. Again, we do see that there’s a challenge when it comes to dynamic range, as some of the labels on the bottles in the background are lost due to the over-exposure. What’s pretty impressive, though, is how it manages to deliver acceptable results under low light as well! Yes, its favorable results can be attributed to its 1.55-micron pixels, where it’s able to catch in more light – producing images that are exposed properly, and with minimal detection of noise. Generally speaking, we’re very pleased with the outcome, even though fine details are dulled down tremendously. Obviously, it’s mostly noticeable if we’re to either crop an image or just zoom in, but the overall capture is pretty likable. 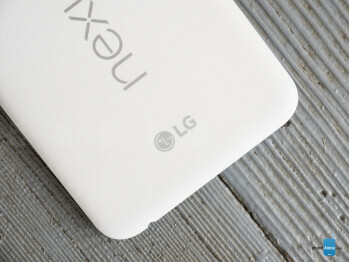 Oh yeah, you won’t be disappointed either by the performance of its front-facing 5-megapixel camera. Details are so abundant that we can make out some individual strands of hair on our head, as well as some details in the background. Similarly, the Nexus 5X takes some better-than-average videos too – aided by the fact that it has 4K video capture on board. First and foremost, there’s plenty of detail going with its 4K capture. Secondly, it manages to produce bold colors that favor a slightly warmer tone. Thirdly, audio recording is spot on, resulting in voices that are bold and filled with fidelity. Our only qualms with the experience relate to its lack of stabilization, resulting in some shaky movements if you’re not still (made more profound with digital zooming), and its slower focus adjustment with the 4K recording option. Besides that, it’s pretty much a home run for this one! A weak speaker and headphone jack subdues its audio experience. Since we’re dealing with pure Android here, photos and videos are handled by the Google Photos app. If you use this on other Android phones, you’ll fit in quite easily here with the Nexus 5X, considering that it’s the same exact experience. Not only is the Google Photo app the vessel for viewing our stored content, but there are additional features and tools, such as cloud syncing and various editing tools, which extend the app’s usefulness beyond just being a generic hub. The music player, not surprisingly at all, is handled by the Google Play Music app. By now, anyone using Android should be familiar with this player, seeing that it’s commonly pre-loaded on most Android devices. Knowing that, its layout and operation isn’t a surprise. Superficially, it’s tasked to play locally stored content, but if you happen to be an All Access subscriber, you can stream songs that are included in Google’s catalog. Speaking of audio quality, its single front-firing speaker is a bit on the tepid side, where it musters up 69.2 dB of power. That tally is undoubtedly under-powered in contrast to the competition, but at least there’s no strained output when it’s at the highest volume setting. Yes, it’s a bit weak on the bass, making for a performance that lacks substance. Things don’t get any better either going with the headphone jack, which sadly churns out 0.287 V of output. That’s excessively weak, and it’s made profound the moment we put on a pair of headphones. Similar to its speaker performance, it’s also on the thin and light side here – where it’s missing any meaningful bite to its performance. To be fair, though, there are equalizer settings that allow us to adjust its quality to a better level, but at the default setting, it’s just disappointing. When it comes to watching videos, however, the experience is just as ordinary and generic as they come. Even though it’s more than effective to watch all sort of video content, since its performance is smooth and skip-free, there’s no multi-tasking element that would enable us to do other things. Essentially, the focus here is just to watch the video, and to that degree, it gets the job done. We just wish it offered more. Scratchy voices on both ends make it challenging for voice calls. It’s not terrible, but it’s certainly not great either. Yes, there are some challenges with the calling performance of the Nexus 5X, but for the most part, we’re able to handle conversations without having the need to constantly repeat ourselves. Through the earpiece, as well as on the other end of the line, voices can sometimes sound scratchy, which is made worse if there’s a lot of background noise to contend with. With the speakerphone, too, it’s a bit underpowered in tone – so it drowns out easily in noisy situations. Just as long both parties are able to utter concise sentences, the experience is tolerable enough to accept. Average, that pretty much sums up its battery performance. The Nexus 5X comes with a 2700mAh non-removable battery. It’s not a huge tally, but it’s neither a small one too – so considering its screen size, the capacity seems proportionate. In our custom battery benchmark test, the Nexus 5X scored 6 hours and 25 minutes in our test. This is around an average result, a bit below the scores of the Samsung Galaxy S6 and even further below the Apple iPhone 6s score. Do keep in mind, though, that Android 6.0 Marshmallow introduces 'Doze', a battery saving feature that puts the phone into a more efficient state of sleep, and this boost in stand-by time is not accounted for in our battery test. In our real-world usage, however, it hits that required mark of providing all-day battery – enough to get us through a solid 8 hour work shift, yet still more in the tank to get us going until it’s bedtime. However, we still highly recommend giving it nightly charges, in order for it to be in a good capacity come the following day. Interestingly enough, the new USB Type-C connection enables the Nexus 5X to achieve a respectable charge time of 100 minutes, which is significantly better than the 150 minutes the iPhone 6s requires, but still nowhere as fast-charging as the Galaxy S6’s mark of 78 minutes. This year alone, we’ve seen several smartphones that redefined the value of what a smartphone should offer. From the super affordable ones priced below the $200 mark, such as the Moto G (2015) and Alcatel Onetouch Idol 3 4.7-inch, to the ‘low-cost premium’ phones in the $350 to $450 range, we really have to think about what the $379-priced Google Nexus 5X has to offer over the competition. 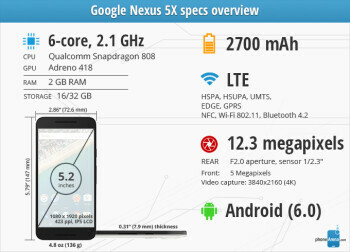 Firstly, it’s a Nexus device, which means that it offers the purest interpretation of what an Android phone should be. Simplicity and straightforwardness, those are two principles that the Nexus 5X holds dearly close to its heart. In addition to offering a hassle-free and meaningful experience, the Google Nexus 5X has the distinguished honor of receiving those lovable Android updates much sooner than other phones. That, right there, is reason enough why so many enthusiasts and purists love it. Beyond the pure Android experience, the Nexus 5X is also a reasonably spec’d smartphone in its price range. Not only that, but it manages to perform on a high level to ensure that the entire experience is seamless – never stuttering, always moving smoothly. And it’s wonderful to know that it’s been blessed with some high-quality gear as well, evident by its very accurate screen colors and versatile camera. For the price and all, the Google Nexus 5X is a great-performing Android smartphone, if not the best there is. On a related note, this year is a special one for the Nexus family, mainly because the 5X follows the same path as its predecessor, the Nexus 5, as in being an affordably priced, pure Android device. 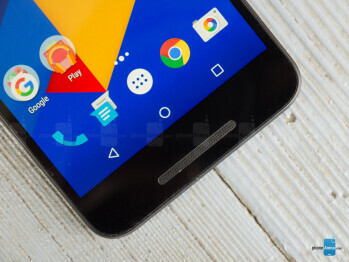 In contrast, the Nexus 6 reverted back to a more costly premium package last year. Going back to the strategy of offering a competitively priced phone, the Nexus 5X has the appeal to attract hardened Android users who were reluctant to fork over the disposable income for last year’s Nexus 6. 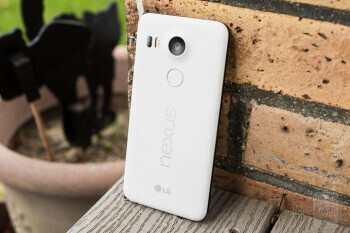 If pricing is a driving factor for your purchase, then the Nexus 5X undoubtedly is a logical option.